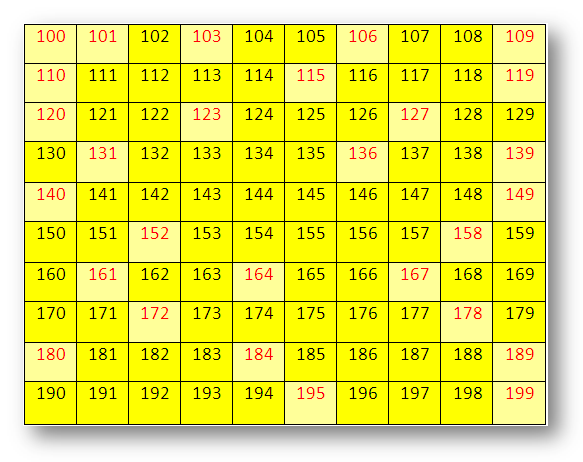 Practice the questions given in the worksheet on numbers from 100 to 199. 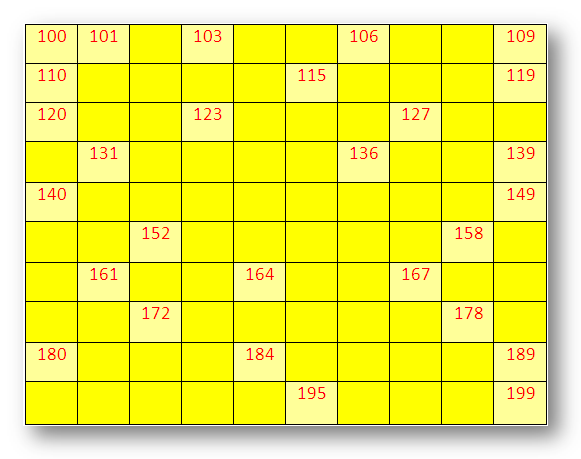 The questions are based on finding the missing numbers from 100 to 199, number in words, number and the number name from the expanded form, missing patterns, expanded form of a number, before and after of a number, comparing numbers with > or < or = symbols. 1. Write the missing numbers. All the numbers are in order. 2. Write all the numbers representing hundreds up to ten hundreds. 100, 200, ……….., ……….., ……….., ……….., ……….., ……….., ……….., 1000. 3. Write the number names (in words) of the numbers of the following numerals. 4. Write the numbers and number names. (i) 131, 132, 133, ……….., ……….., ……….. .
(ii) 170, 172, 174, ……….., ……….., ……….. .
(iii) 185, 187, 189, ……….., ……….., ……….. .
(iv) 153, 156, 159, ……….., ……….., ……….. .
5. (i) 134, 135, 136. After practicing this worksheet on numbers from 100 to 199, then we will proceed to learn the numerals from 200 - 299.